"….although the women in these periods lacked the authority of public office, they actually possessed a considerable power: the power to describe who they were, and what they thought, and to persuade others, mainly men, that they should be heard and taken seriously." 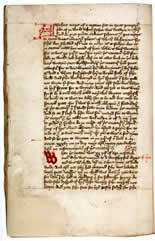 Three manuscripts of Marie de France (fl.1181), with various Lais. Manuscripts of Julian of Norwich (c1343-c1413), the mystic, including the famous Revelations of Divine Love. The Revelations of Saint Bridget of Sweden. Thirteen manuscripts relating to Christine de Pisan (1363/4-c1429), including texts of Le Livre de la Cité des Dames, Le Livre des Trois Vertus, the Corps de Policie, and Le Livre des fais d’Armes et de Chevalerie. The manuscript autobiography of Margery Kempe (c1373-c1439). The diary of Lady Margaret Hoby (1571-1633). The Queen Mary Psalter (Royal 2 B vii), made for an unknown patron in the early 14th century and later presented to Queen Mary Tudor in 1553. Numerous diaries, letters and papers of 16th and 17th century women from Elizabeth Jocelyn to Margaret Roper.